An article by Hasmik Chakaryan was ranked 2nd on the American Counseling Association's 2018 Top Articles of The Year, a list it produces each December. Her article, "Effective Ways to Approach Sexual Assault Response," was published last year in Counseling Today. "It's estimated that one in 5 women and one in 71 men in the United States will face sexual assault in their lifetime. To provide an adequate, timely and holistic response to sexual assault, it is essential that counselors learn about victim advocacy and incorporate some critical elements of this training into counseling work, when appropriate," the article explains. 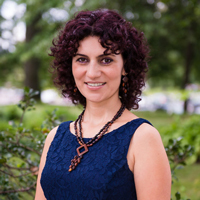 Chakaryan is assistant professor and director of clinical programs for the Department of Professional Counseling in Webster’s College of Arts & Sciences. Jeffrey Carter, professor and chair in the Department of Music and currently on Faculty Development Leave (FDL), is serving as the music director for Circus Harmony, with six January performances beginning this weekend at the City Museum. Circus Harmony uses the teaching and performing of circus arts to motivate social change by building character in individuals and building bridges between communities. The annual full-length show features more than a dozen children and teenagers. Learn more about the role and program in this post. 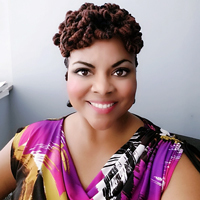 Jameca Woody Falconer has been selected for the 2019 American Psychological Association (APA) Leadership Institute for Women in Psychology (LIWP). The APA Committee on Women in Psychology established the APA LIWP in 2008 to prepare, support, and empower women psychologists as leaders to promote positive changes in institutional and organizational life and to increase the diversity, number, and effectiveness of women psychologists. 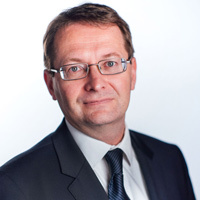 Falconer is director of the Applied Educational Psychology program (M.A) program and School Psychology program (EdS). Johannes Pollak co-edited the book, "Creating Political Presence: The New Politics of Democratic Representation" with Dario Castiglione, on University of Chicago Press. 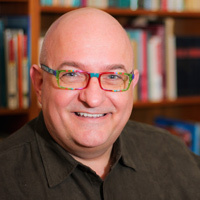 Pollak is on faculty and director of Webster Vienna. The book contains thought-provoking contributions on representing future generations, representation in the era of the Internet, representation and populism, and democratic inclusion. Recently, the long-held view of democratic representation has been under attack for its failure to capture the performative and constructive elements of the process of representation, and a new literature more attentive to these aspects of the relationship between representatives and the represented has arisen. In Creating Political Presence, a diverse and international group of scholars explores the implications of such a turn. Learn more about the book at University of Chicago Press.